Place the sweet potato into a pan with a little water and bring to the boil. Reduce the heat and cook until very tender. Add the spinach to the pan and cook for a further minute. 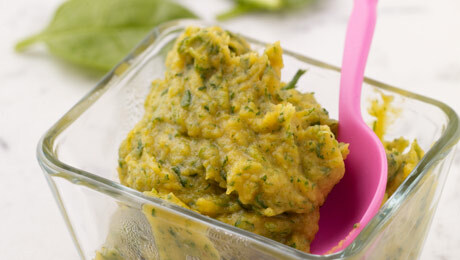 Remove from the heat and using a blender or food processor, blitz the vegetables until pureed.